Christina shares her Bodhi tree illustrations at the OSU Student Undergraduate Research Symposium. 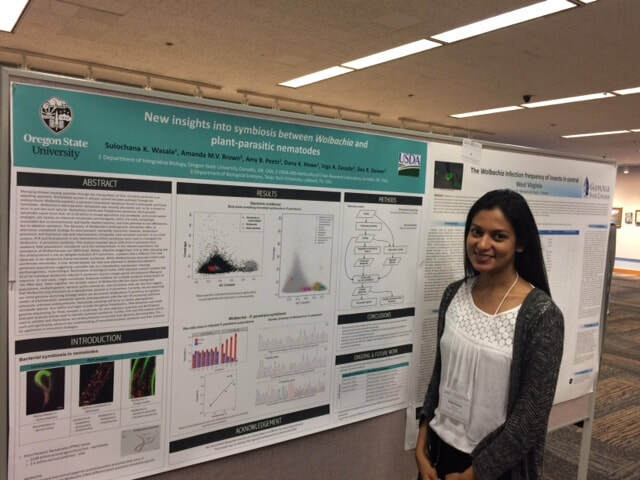 Sulochana presents her nematode symbiosis research at the International Symbiosis Society Congress in Corvallis, Oregon. Ethiopian dinner with collaborators and friends in Montreal. Dana and Sulochana at the potato cyst nematode quarantine facility in Quebec, Canada, 2016. 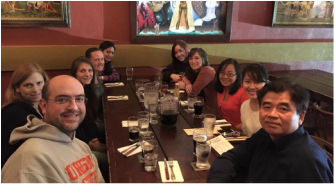 Denver lab group photo 2015. 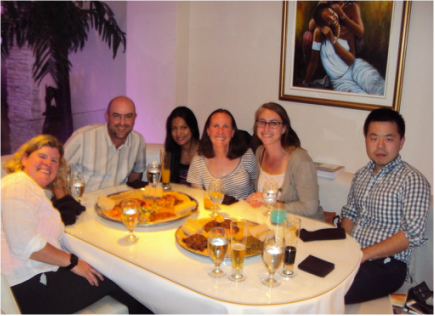 Farewell lunch with Sayeon Cho, our sabbatical visitor from Sung-Ang University in South Korea. Dana and Dee collecting anemones on the Oregon coast.